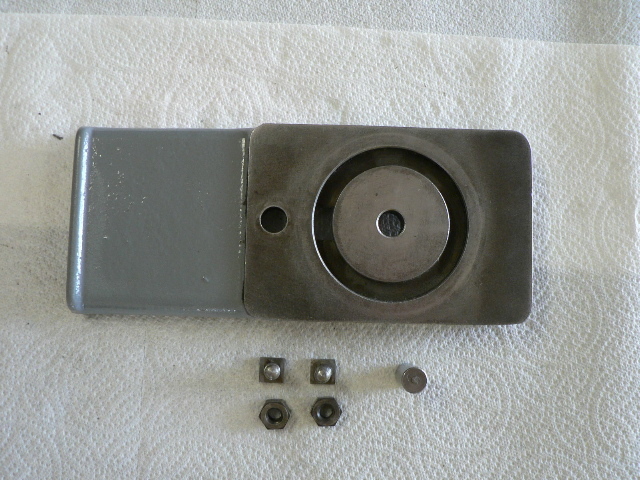 This page shows the process and parts involved in assembling a compound slide rest for a Delta 12" wood lathe. The part numbers referenced in this page are taken from manual #PM-1533, dated 1/15/1948. 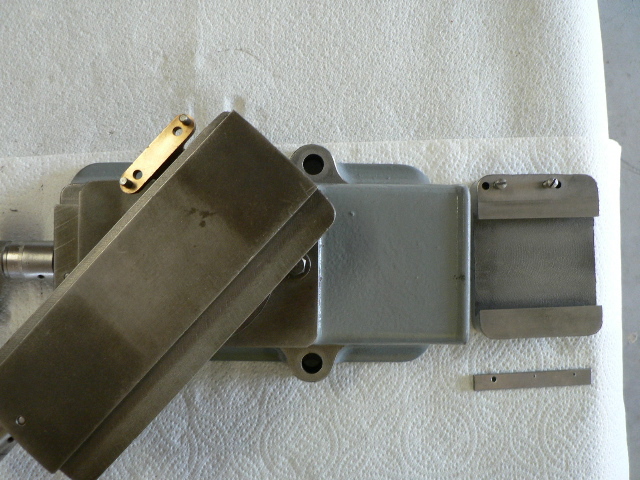 Reprints can be found at: Delta Compound Slide Rest Manual #PM-1533. 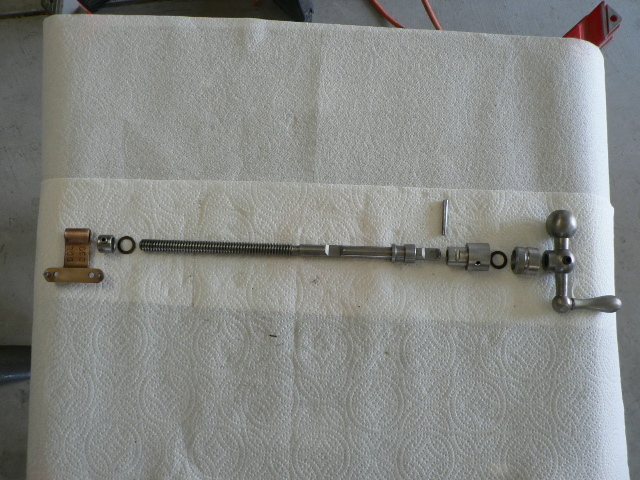 While one might expect the reassembly to start with the sub-base, that is actually the final step. 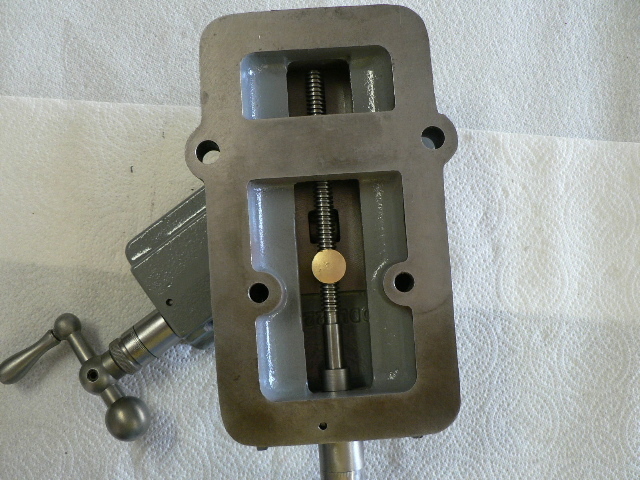 Access is needed inside the base, so instead we start with the base and lower feed screw. 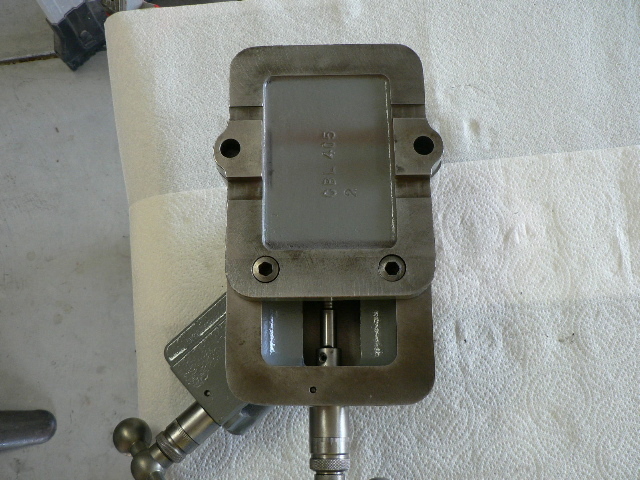 The first step is to install the lower feed screw assembly within the base. 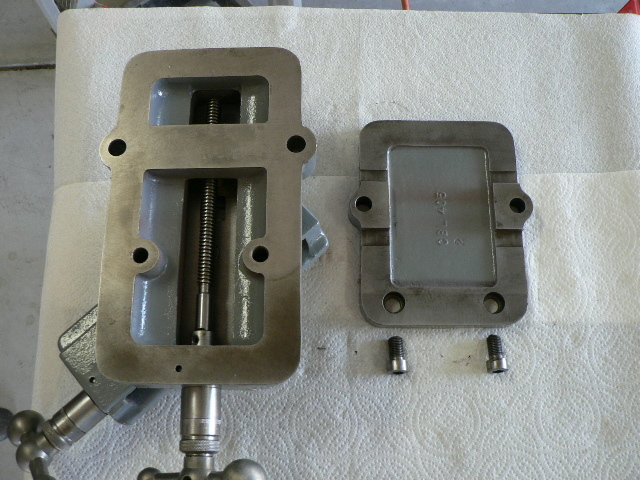 After assembling the base and lower feed screw, the next step is to install the upper feed screw assembly within the swivel saddle. 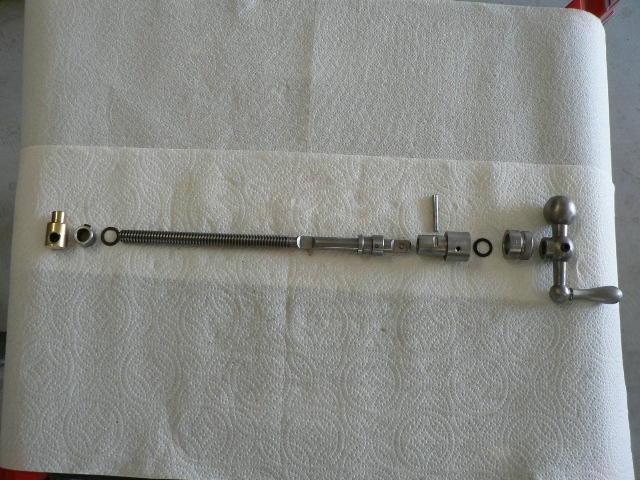 Once the two feed screw mechanisms are assembled, the two assemblies are attached using the lower slide. 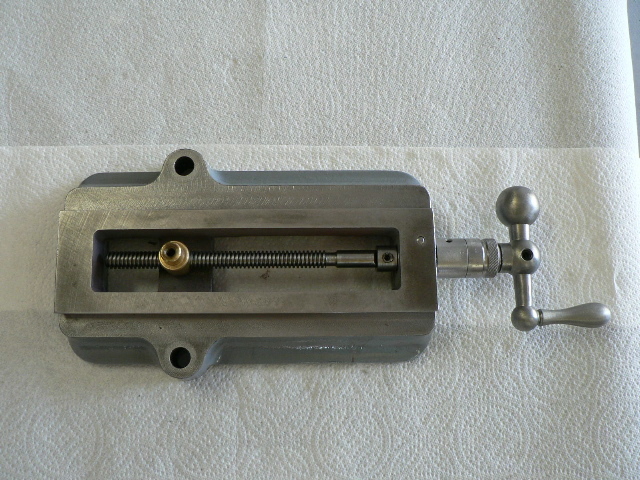 Square-head T-bolts are installed within slots in the lower slide, and then a steel pin, DDL-248, is installed through the lower slide into the indexed lower cylinder on the saddle. 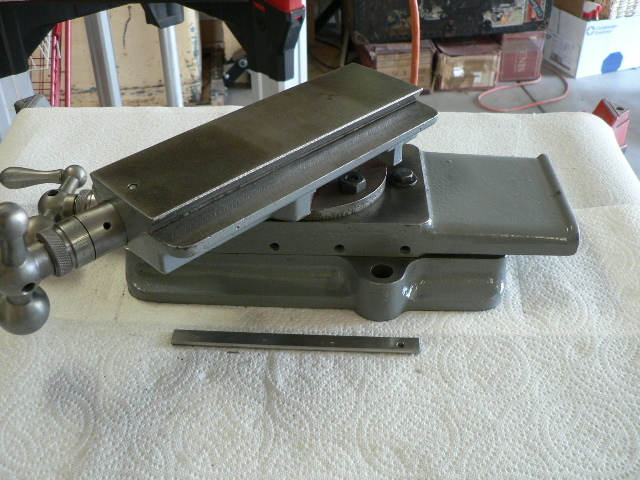 The lower slide gib, DDL-251, needs to be installed and adjusted along the dovetailed way. 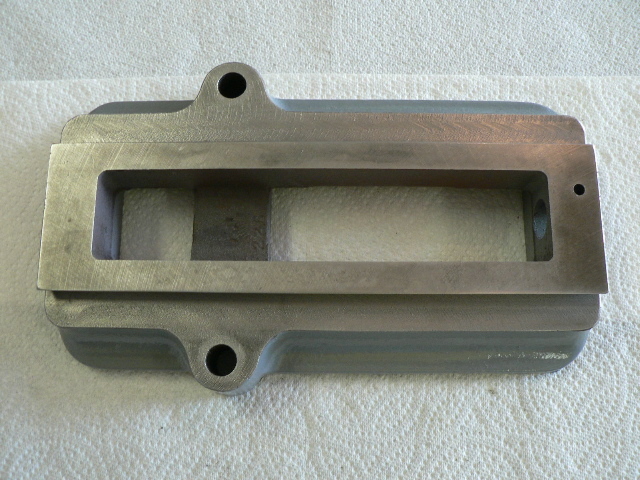 Once the three main castings are assembled, the top slide is attached. 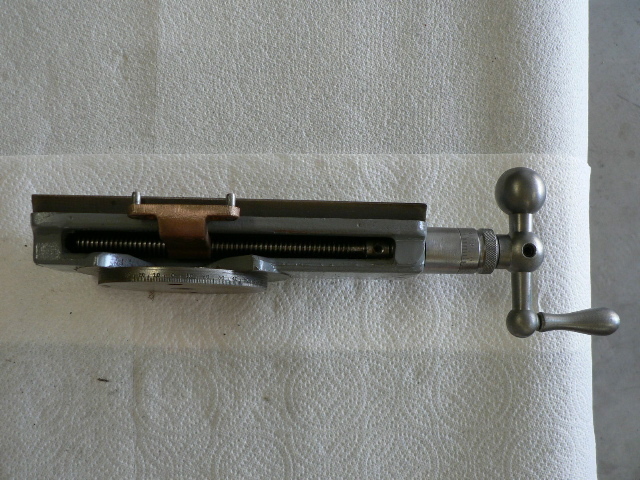 The Upper Slide Gib, DDL-252, needs to be installed and adjusted along the dovetailed way. The last assembly step is to install the Sub Base on the bottom of the entire assembly. 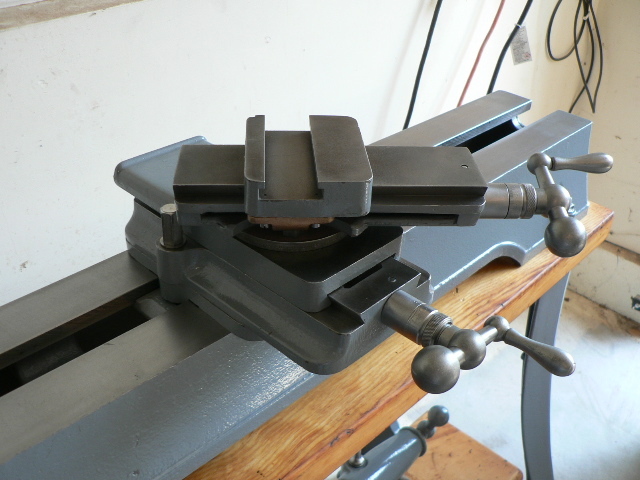 Finally, the cross slide is mounted on the lathe bed using two standard lathe clamp plates, CBL-406.